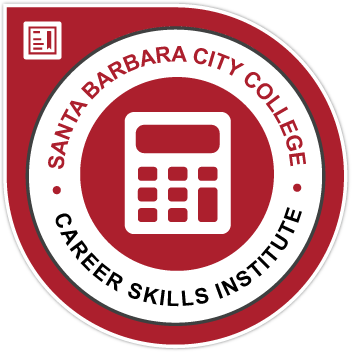 The Accounting Basics for Small Business Certificate provides a framework for students to develop skills and knowledge in accounting software techniques, enabling them to open up additional work and advancement opportunities. The certificate is also a gateway into other noncredit and credit programs. Students develop workplace skills and training that will qualify them for even more work opportunities. Setting up QuickBooks for small business | ACCT NC001 | Accounting fundamentals - Learn the basics of small business bookkeeping using QuickBooks. Monthly Procedures Using Quickbooks |ACCT NC002 | Develop and apply monthly procedures used in accounting for small business. Year End Procedures Using Quickbooks | ACCT NC003 | Develop and apply year-end procedures used in accounting for small business.